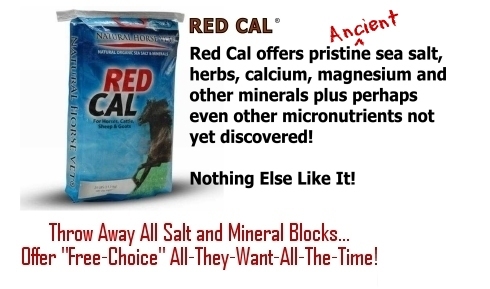 No Horse Should Go Without The Natural Salt, Minerals, Electrolytes, And More That RED CAL Provides. 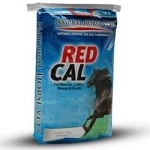 For Horses & Cattle (all classes), Donkeys, Mules, Sheep, Goats, Alpacas, Lhamas and other Camilids (all classes)- The RED CAL supplement is a formulation and combination of calcium, micro-nutrients and herbs to help keep your horse healthy. RED CAL is one of the components of Dr. Dan's "Feed For Success" program. Red Cal features the prized ingredient, MONTMORILLONITE CLAY- a rich source of minerals and other trace elements. Often referred to as "living clay" because it consists of minerals that enhance the production of enzymes in all living organisms. Typically a 25 lb bag will last from 100-200 days for one horse but will vary depending upon the individual needs. Buying our bulk packages will make your per-day, per-horse investment even less! Unlike most, RED-CAL is not bleached, kiln dried, heated, or altered with chemicals or pollutants, its balanced by nature, not by man and its natural source is the desert- an ancient sea bed, not the likely to be contaminated ocean. And since it comes from a desert that millions of years ago used to be the ocean, the micronutrients are "naturally chelated" with organic matter...there's just nothing else like it! Rocks And/Or Blocks Are Useless! They just can't get what they need, when they need it, fast enough by trying to lick or chew from a block! When the weather changes sudden imbalances in the grass can occur. The chemical composition of grass actually change with the weather. As Dr. Swerczek concluded in his note to me shared at Click: Why Red Cal Works... "After a freeze there is a spike in potassium nitrate in the forages..."
Today's horses living in the information age will require better mineral care than ever. "Why?" Our modern day farming practices along with the age of our pastern fields most certainly have been depleted of natural minerals over the years, mostly because of fertilize abuse. A horse kept in a stall or pasture field also needs to drink plenty of clean water. Red Cal is a great free supplement choice I use not only for good mineral quality for horses, but the added insurance of Red Cal natural balance requires the horse to drink plenty of water. Our gaited horses were developed for work, pleasure and transportation. Let Red Cal work for you to ensure not only fine quality of mineral supplements, but the added bonus that your horse will drink plenty of fresh water. 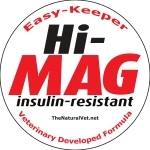 Also Available: Red Cal "Hi-Mag"! Folks, if you don't consider any other portion of our feeding program at this time, at the very least you should provide RED CAL for your horses." INGREDIENTS: Organic Natural Sea Salt, Ground Dried Grape & Seed Pomace*, Calcium Carbonate, Yeast Culture, Diatomaceous Earth, Garlic, Montmorillonite, Thiamine Mononitrate, Selenium Yeast Culture, Distillers Grain, Mineral Oil. CONTAINS NO ADDED POTASSIUM OR COPPER. CONTAINS ORGANIC SELENIUM. 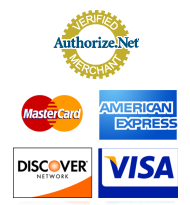 Look For "Quantity Pricing Discounts"! HD version of Dr. Dan, The Natural Vet's segment that originally aired around 2004-05 on HorseCity.com's "At The Clinic" via RFD-TV: "Deadly Blocks, Deadly Minerals". Visit http://TheNaturalVet.NET for more.